Linda is an elegant Turkish-built traditional gulet that has undergone a complete refit and is now based on the Dalmatian Coast of Croatia. She has 7 double cabins, two of which can be converted into twin-bedded cabins. Thus, she has room for up to 14 guests. Her pine finish and comfortable interiors and deck spaces make her a beautiful base for exploration; her experienced captain and dedicated crew will make any cruise a memorable experience. 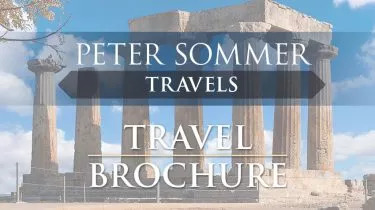 The Linda is available for private expert-guided charters on numerous fascinating itineraries with Peter Sommer Travels, as well as for our scheduled cruises in Croatian waters.